When people say Glendalough they could be referring to the early monastic settlement, the glacial valley or both. Either way, it’s an incredible site and one worth visiting so with that in mind we decided to answer some of the most commonly asked questions about the famous site. Hopefully this helps you plan your next trip or simply quench your curiosity. Where is Glendalough in Ireland? Glendalough is located in County Wicklow just south of Dublin. More specifically it can be found in the Wicklow Mountains National Park and just a short distance from a small village called Laragh. It is one of Ireland’s most famous landmarks and is included in the country’s Ancient East. To find out more about Ireland’s Ancient East click here. What is Glendalough famous for? What is Glendalough famous for? The short answer is breathtaking beauty and history. The longer answer is that Glendalough is one of the most famous areas in Ireland due to its incredible, breathtaking scenery in the glacial “valley of two lakes” and its ancient Monastic city, much of which still remains today. Saint Kevin founded Glendalough Monastery in the 6th century. Kevin of Glendalough, as he later became known, was the sites founder and Glendalough’s first abbot, head of the abbey and monks within. He was of noble birth and lived from 498 to 618. He was ordained by Bishop Lugidus and lived as a hermit, retreating from normal public life, for 7 years in Glendalough wearing only animal skins, walking barefoot and keeping only the company of animals. His incredible pious nature, summed up in the Seamus Heaney poem “St Kevin and the Blackbird”, began to attract followers which eventually lead to the establishment of Glendalough as we know it today. Why is Glendalough a sacred place? Glendalough is largely a sacred place because of the work of Saint Kevin. Before his arrival it was a remote, untouched and unused part of Ireland. The remote nature of the location was primarily what attracted Kevin to the site and it only achieved sacred status after his arrival and the formation of the monastic site which still largely stands today. It should be noted that the sacred nature of the site is enhanced by the breathtaking beauty and scenery all around. What time does Glendalough open? The site, including the Glendalough Visitor Centre, is open all year round expect for a short break during the Christmas holidays (December 23rd to 28th). Please be aware that last admissions occur 45 minutes before the official closing time as most visits take between 1 hour and 1.5 hours in total. How to get to Glendalough? As mentioned above Glendalough can be found within the Wicklow Mountains National Park and your best bet to get this is via car or bus. There are countless tour operators and travel companies offering tours of Ireland which would include trips to Glendalough. If you require more information on these companies contact us by clicking here. · Take M11/N11 (South). Continue as far as Kilmacanogue then take the exit marked Roundwood/Glendalough (R755). 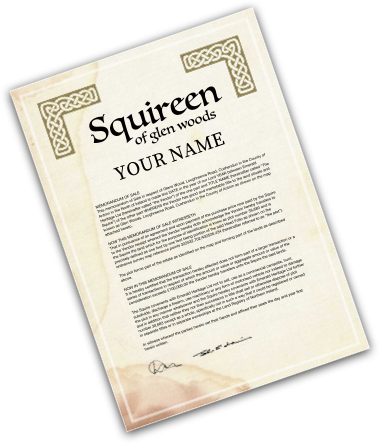 · Follow Roundwood/Glendalough (R755) signs for 13kms until you reach Roundwood. · Travel straight through Roundwood following signs for Laragh/Glendalough(R755) through Annamoe for 8kms. · Continue straight into Laragh (R756) and straight through to Glendalough(R757). · Take the M1 out of Belfast following directions for Lisburn and Dublin. · Follow the M1 as it turns into the A1 and continue to follow signs to Dublin. · Follow the A1 as it turns into M1 and continue southwards following directions for the M50 outer ring in Dublin. · Follow the M50 until you take M11/N11 (South). Continue as far as Kilmacanogue then take the exit marked Roundwood/Glendalough (R755). For more information you can visit the official Glendalough website here or contact us here if you have any questions!